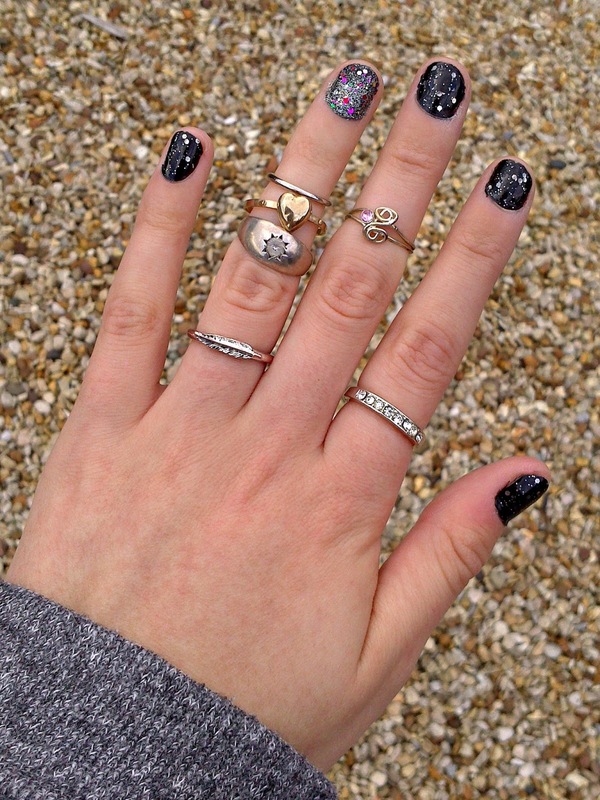 DIY: How to Discover your Very Own Free Midi Rings! 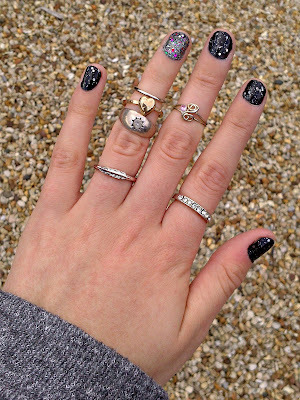 Hi gang, so over the past few months midi (or finger top) rings have been seen everywhere! Typically you can but them in sets like this cute set of Gold Triangles from River Island for just £2, they also have them in silver and you can check out the whole lot by clicking here. But, as per, I have found something cheaper, free even. So if you're like me (and hoard absolutely everything) you may have some jewellery kicking about the house from when you were, say seven or eight, or perhaps a younger sister or relative...Got where I'm going with this yet? Hello new shiny - and vintage! - midi rings for a price tag of exactly zero! I was as much of a magpie at seven or eight as I am now and had a huge jewellery collection from Claire's Accessories. I remember being so sad when I grew out of them and had to venture and but the *dreaded* grown up jewellery, even if this did mean getting my ears pierced! But now, I have a huge midi ring collection (even if some are a little big)! In my childhood jewellery boxes also found a couple of toe rings that I'm pretty sure came out of an S Club 7 magazine (Did anyone else get this? No? Just me...) that fit perfectly too! Happy hauling.